8 GB of free hard disk space. 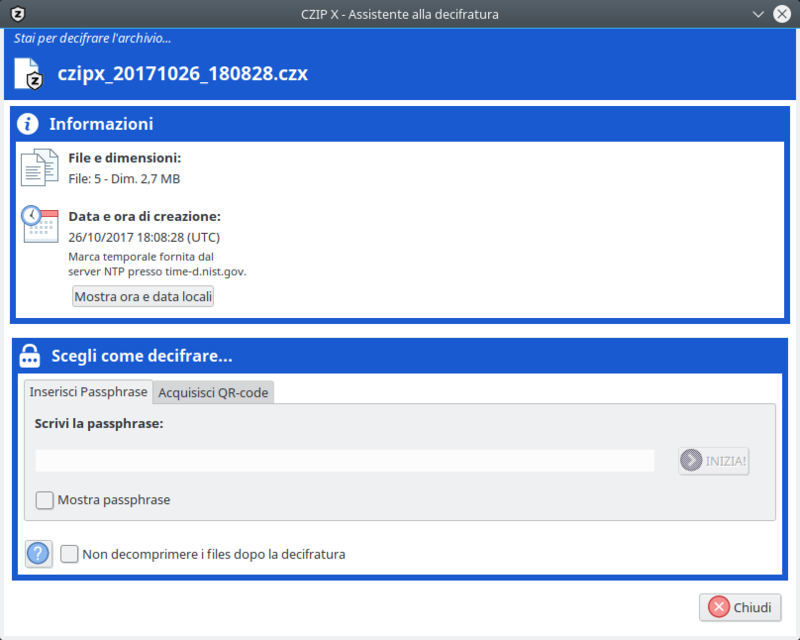 Use of passphrases instead of passwords in order to make archives harder to crack. 3 algorithms available: Blowfish, Twofish, AES/Rijndael. It applies a timestamp provided by public NTP servers to every archive. It can create self-locking or self-erasing archives. It can create unshareable archives. It can create archives that allow just one successful decryption. 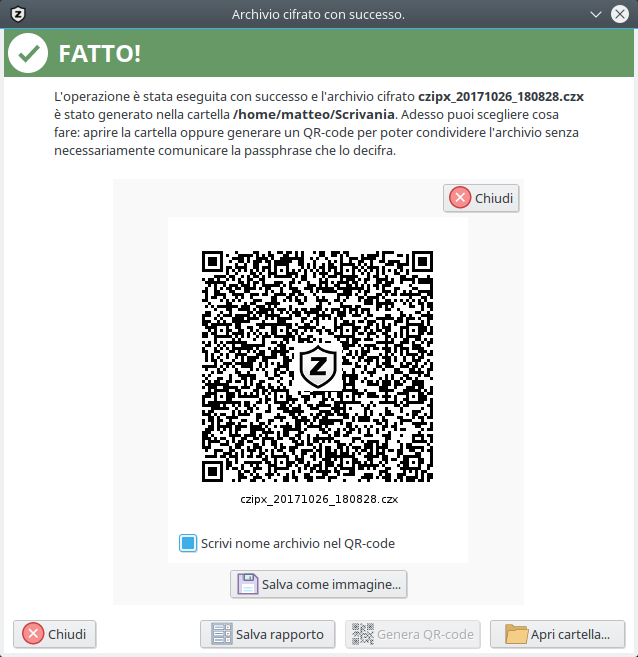 It can generate a QR-code that can be used to share the archive without telling the passphrase (or to decrypt the archive without entering the passphrase). 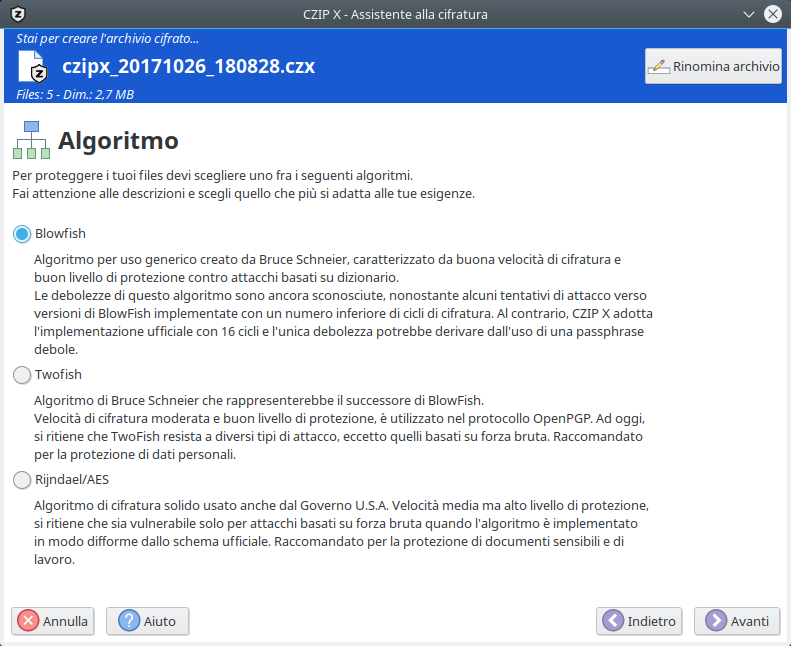 CZIP X for macOS costs just € 0,99 and it can be purchased through the Mac App Store.